Elizabeth, named after the Queen of England, is very happy in her unusual home and she becomes a sort of mascot for the city until she develops a dangerous habit of basking on asphalt roads. Can Elizabeth and the city co-exist? This sweet, quiet book is interesting and enjoyable. Including a photograph of the real Elizabeth at the end of the book was an especially nice touch. 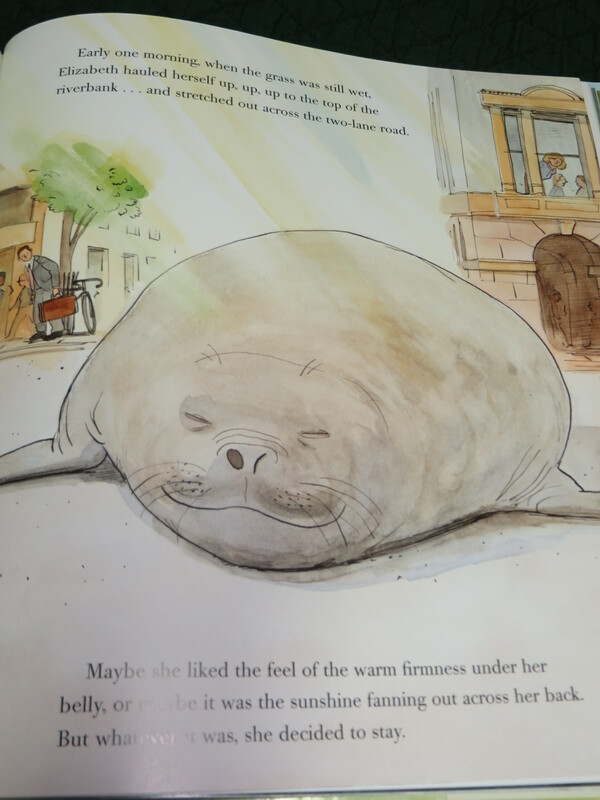 This entry was posted in Non-fiction, Picture Books and tagged Animals, Brian Floca, city, Elizabeth Queen of the Seas, Lynne Cox, New Zealand. Bookmark the permalink.